Posted at: 1/22/2011 11:11:00 PM . So by now you all know I love Starbucks. 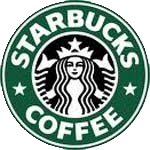 Well there is a new site, Kembrel, which is offering a $5 Starbucks giftcard for $2.50. Just for signing up, you will get an instant $5 credit. While I thought the giftcard would be free after the credit, I was charged $0.20 tax and was required to enter a credit card number. From what I can tell, Kembrel is designed to offer students discounts on different products. Since I have only just heard of this site today, I recommend using caution if you are planning to try them. If your credit card company offers a "safe card" for online use, I recommend using it. As for the company, I clicked the press link and found a few magazines that reviewed the site such as Teen Vogue and Wallet Pop. UPDATE: I seem to be the only one mentioning that $0.20 tax. Did anyone else have to pay it or was I the only one that got charged anything?